Who They Are: A chain of ice cream and cake specialty shop restaurants which are known for their 31 flavors. They have a strong association with holidays as ice cream cakes are often a must at celebrations. Ice cream has long been a mainstay of celebratory festivities – Father’s Day should be no exception. 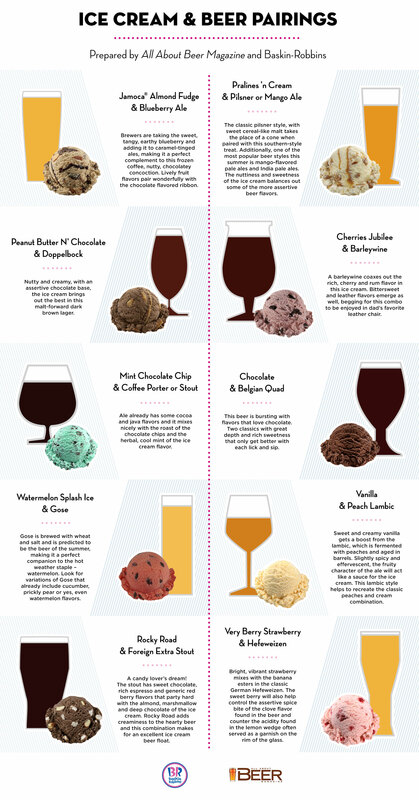 Baskin Robbins paired up with All About Beer Magazine to combine two of dad’s favorite things. The Challenge was to create an infographic from limited visual assets that follows the Baskin Robbins brand guidelines and still allows enough flexibility to be used on external sites.